My Dad had free tickets to Criss Angel's "Believe" show at the Luxor. 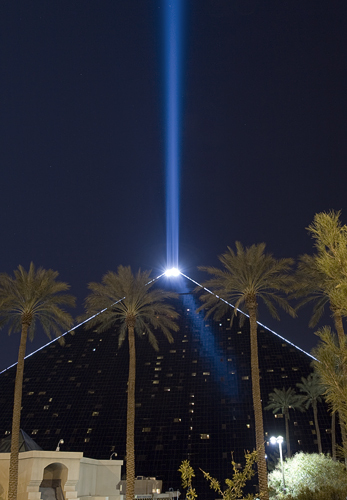 I always assumed the Luxor pyramid would make it into my blog eventually and here it is. As for the show, it was decent. I guess I'm just not as into magic as I was when I was a kid. It's not your typical Cirque du Soleil show, but I found the "Cirque" part of it to be pretty funny.